1.Combine the dry ingredients for the dough and rub in the butter until the mixture resembles coarse crumbs. 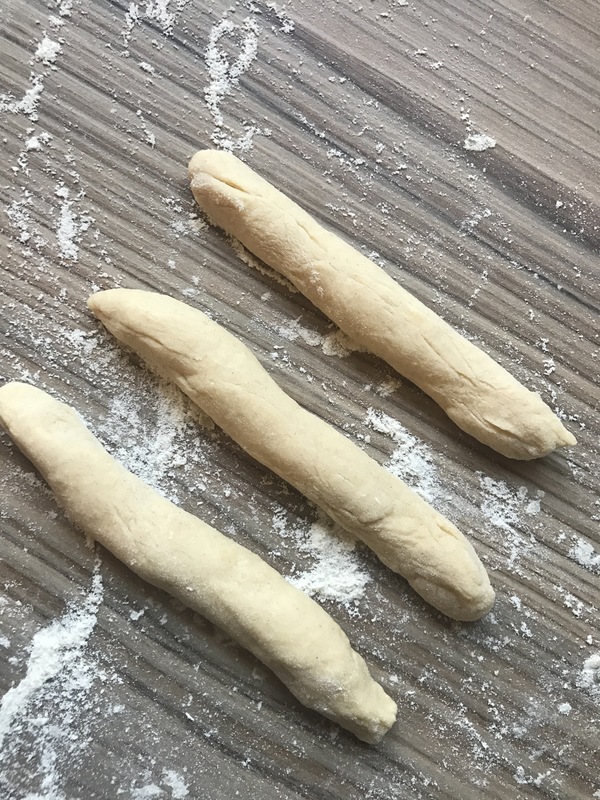 Beat together the eggs and milk, add to the dry ingredients and mix with a fork, adding as much of the water as necessary to make a soft dough (similar to scone dough). 2.Turn out the dough on a floured surface and knead very gently for 2 – 3 minutes until smooth. Return to the bowl, cover and chill for at least 30 minutes. 3. Turn dough on a lightly floured surface. 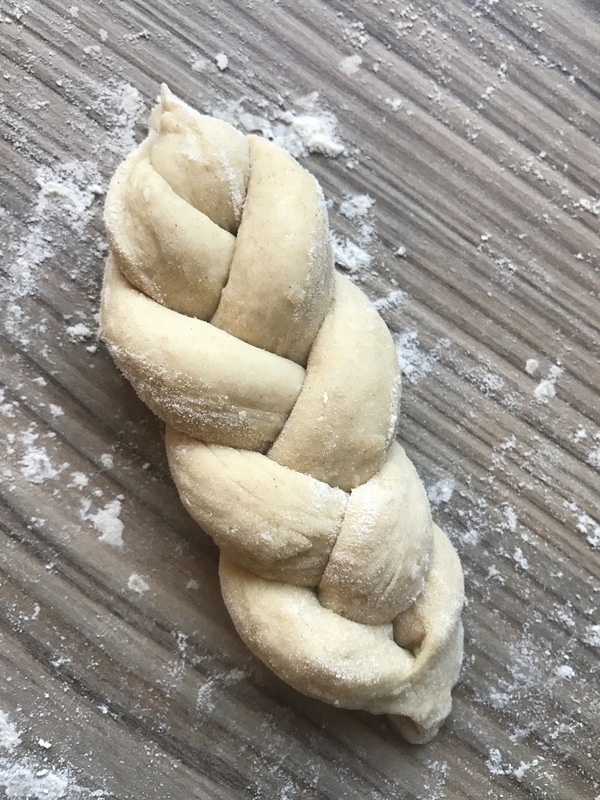 Using a small knife, cut dough into small balls depending with the size you desire, roll out into strips and Plait the strips very loosely to allow for rising while frying and press the ends together well to seal neatly. 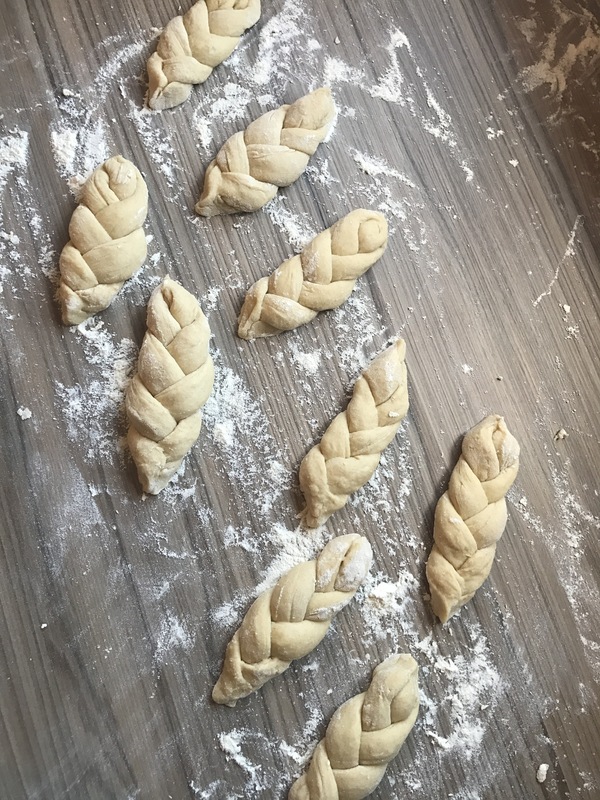 4.Set aside on a tray until all the plaits are made and cover with a damp cloth. 5. Heat the oil to moderately hot (170 º C). 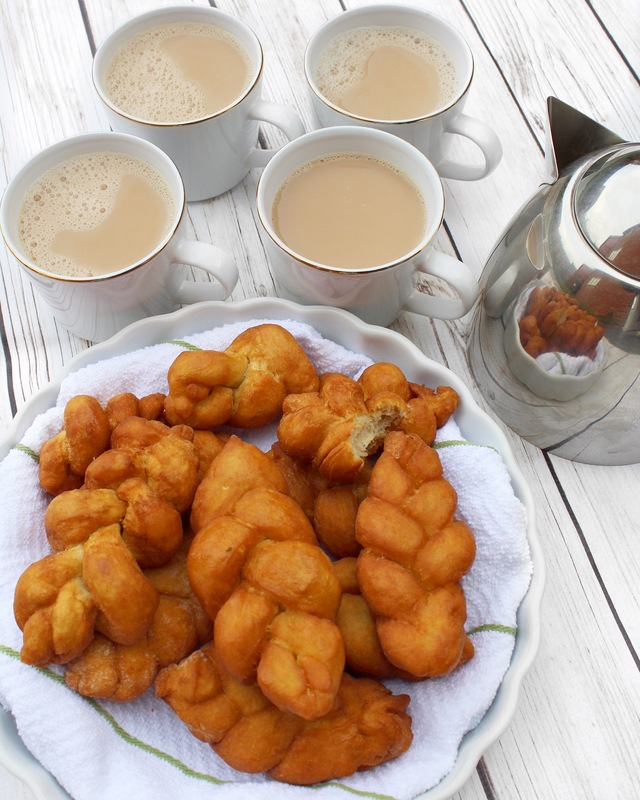 Fry the koeksisters a few at a time until golden on both sides. 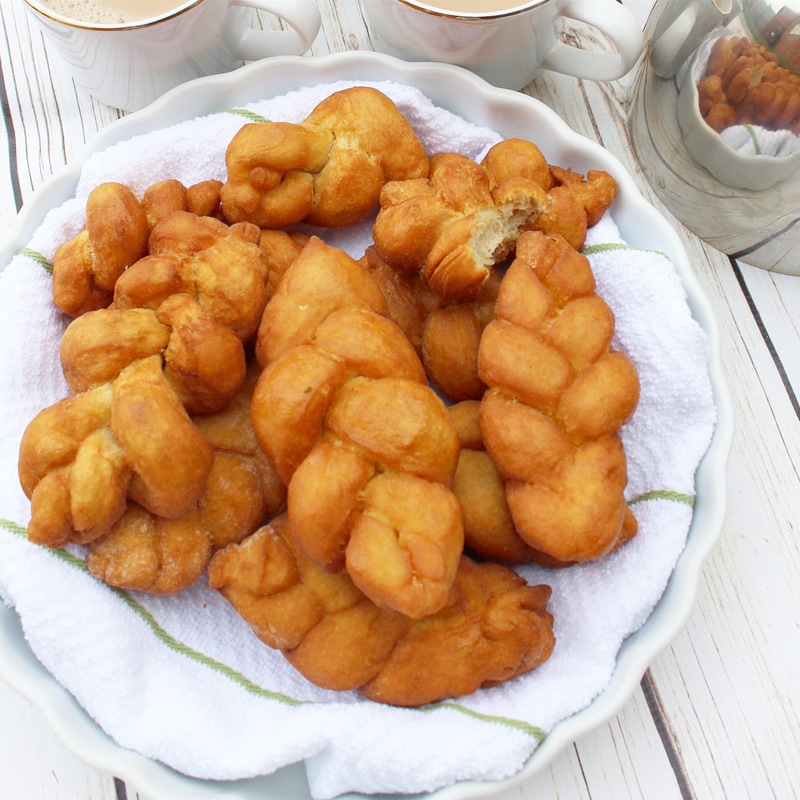 Place on a clean kitchen cloth to absorb excess oil.Repeat until all the koeksisters are fried. 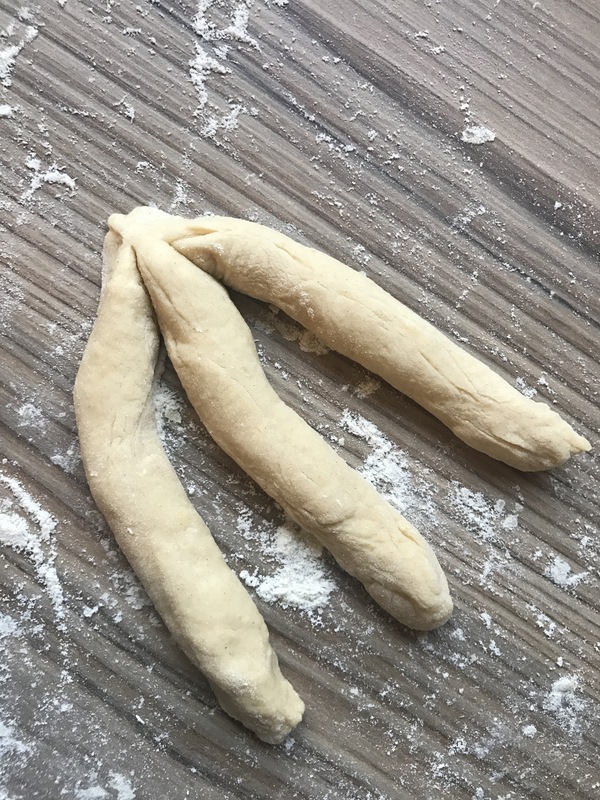 To add a bit of glossiness to the koeksisters, add 2 tablespoons of sugar plus 4 tablespoons of water in a bowl, stir and heat up for a minute in the microwave. 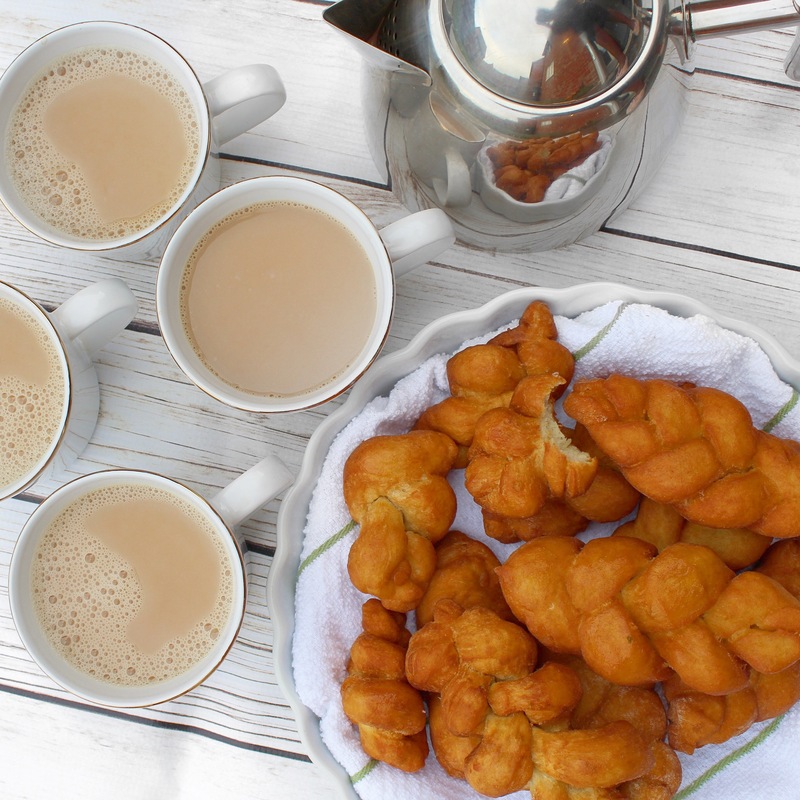 Rub the glaze on the koeksisters using a brush. Serve with tea or coffee or as part of breakfast. NB: In this recipe I used yellow cornmeal so that when frying, not much oil is absorbed. You can use mealie meal (hupfu) as a substitute. Thanks for the recipe. This I will definitely try over the festive season. Keep sending them recipes. Thanx for the recipe. They look lovely. Will definitely try making them. Hie Ivy.Can I use buttercup margarine instead of butter for this recipe?